This semester I’m taking a class called Illness, Grief and Loss. Obviously, it is a sad class, but it is especially sad when most of the students have no hope. Last week we had to write papers on how we define loss, what loss we have experienced, and how we cope with it. Then we had to present our papers to the class. Each story was sadder than the next. By the end of the class, students and even the professor, were in tears. Most of the presentations included stories of how each person experienced loss, but almost none of the students shared how they coped. This made me think, have they coped? When you don’t know Jesus, you lack hope. Jesus provides you with hope and gives loss a purpose. This is similar to the experience I had in my class. One person’s sadness caused another to be saddened. Unlike my class experience, this story has hope. God used loss to save people, to bring hope and a purpose. When I refer to loss, I do not simply mean loss of lives by death. Loss can be found in many forms- divorce, friendship, moving to a new place, or change of plans. Here are some examples of the word loss found in the Bible – lose of time (Ex 21:19, loss of lives (2 Sam 18:7), uncertainty (Act 25:20), and loss of material goods (Acts 27:10). Mary, Martha, and Jesus all felt sadness, pain, and grief, but every tear had a purpose. In our times of grief, we may only see the tears and may tend to focus on the present moment. If we look at grief through Jesus and his eternal perspective, we will see the world differently. Mary and Martha had no idea that lives would be spiritually saved that day, because they were focused on the pain, the loss of their brother. We too focus on the pain, and have no idea how God may use each of our experiences to glorify him. 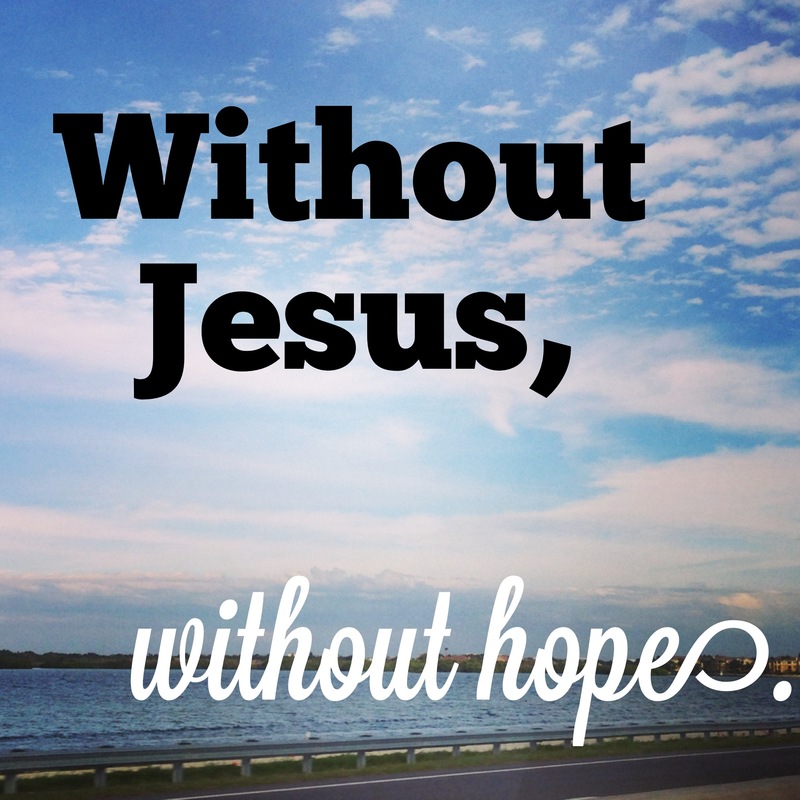 Without Jesus, without hope. With Jesus, with hope. Joy this is very reflective of the class. Great piece.